The Council is committed to providing play areas and budgets annually to a rolling programme to upgrade equipment and fencing. 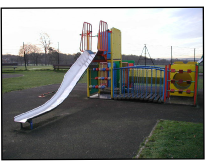 The Play Areas are inspected weekly, quarterly and annually to ensure that they are clean and safe to use. Ball court in a woodland setting. Located off The Drive. Car parking on residential road only. 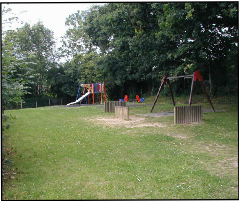 Play equipment for toddlers and juniors, with adjacent recreation area off the High Street, adjacent to Luxford car park. 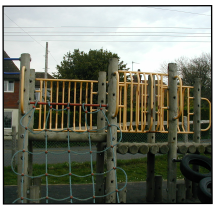 Play equipment for toddlers and juniors, with adjacent recreation area & ball court. The tennis courts are being refurbished and will reopen in January 2015. Located via Old Timbers Lane, with a large car park. Skate Park, Multi-Use Ball Court and BMX track. Located via Old Timbers Lane, with a large car park. An enclosed area with a variety of different equipment for children under 12. Adjacent to this is more adventurous equipment such as a zip wire and gyratory swing for older children and fitness equipment for teens and adults. Limited parking on site. Play equipment for toddlers. Located on Oakwood Drive. Car parking on residential road only. Play equipment for toddlers and juniors, with adjacent recreation area. 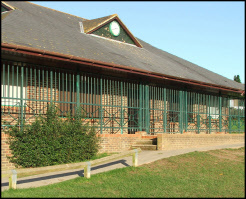 Located off Streatfield Road, Rocks Park with on road parking or limited car parking outside West Park Pavilion, Markland Way, West Park. Play equipment for toddlers. Located on Hughes Way. On road residential parking only. Play equipment for toddlers and juniors, with adjacent recreation area located at New Road, Ridgewood has limited car parking by the village hall. 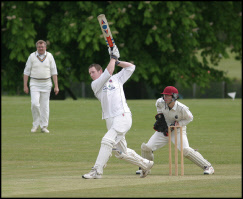 Football and cricket facilities are allocated by the Council at the begining of each season to local clubs. These facilities can be let for one-off games when available. 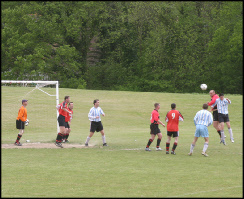 No football is allowed in the summer months to enable renovation work to be carried out. For details of hire charges for all sports pitches and pavilions please see below for The Town Council's Hire Charges for Sports Facilities and Allotments. 1 football pitch. Changing facilities at Victoria Pavilion.